Customized Small Group Workshops – Ready to Take the Next Step? Our unique Presentation Skills Workshops are designed to help attendees learn how to build and deliver more polished and persuasive elevator speeches! 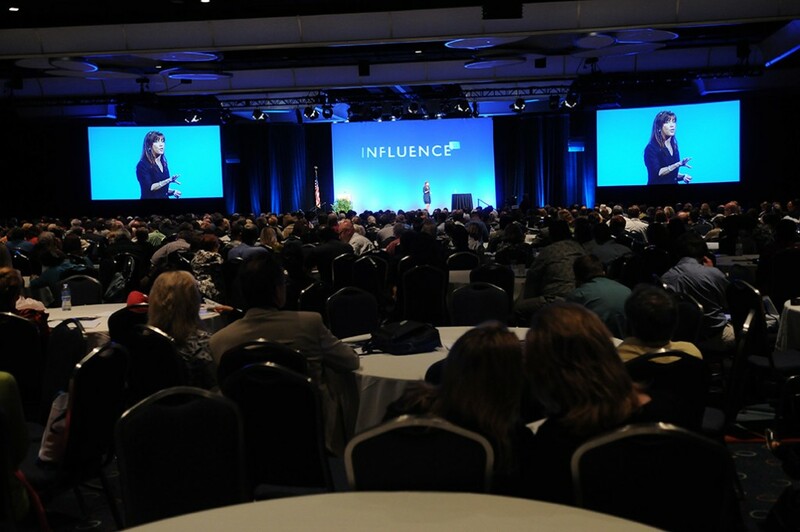 Class sizes are limited to allow for more individualized attention, provide hands-on training, and to focus on coaching business professionals to truly execute presentations that generate results! This program includes a brief lecture-only seminar in the morning to review The 9 Biggest Sales Presentation Mistakes. Then the participants will be asked to deliver two different types of presentations in front of the group. Each presentation will focus on further developing: stronger verbal communication skills, structure, building persuasive arguments, closing, style, humor and timing. Participants will receive coaching in a group environment, with specific feedback on areas for improvement. Videotaping is optional. This is the extended version of the One-Day Program described above with a twist. We call it Hell Night because the participants are allowed to meet with Terri until 8:30 pm at the conclusion of day one to receive optional one-on-one coaching and feedback to improve his/ her final presentation on the following day. The final presentations are critiqued and evaluated by Terri as well as the senior management of the company sponsoring the event. Its hard work but the results are worth the effort. 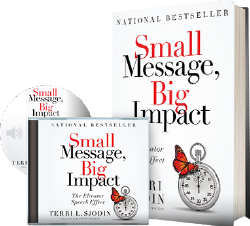 This is Terri’s signature 3-minute elevator speech workshop as described in her books New Sales Speak 2nd Edition and Small Message, Big Impact. Videotaping is optional. This is the Advanced Program to follow up the Hell Night 1 Program and includes the Videotaping with Playback Coaching and Feedback Process. This certification and licensing course is designed for organizations interested in acquiring Terri’s program to be delivered by their own in-house Trainers. Once certified, participants will be licensed for a 12 month period to present this course to their teams and organizations internally. Please contact us directly for more information at (949) 723-3132. 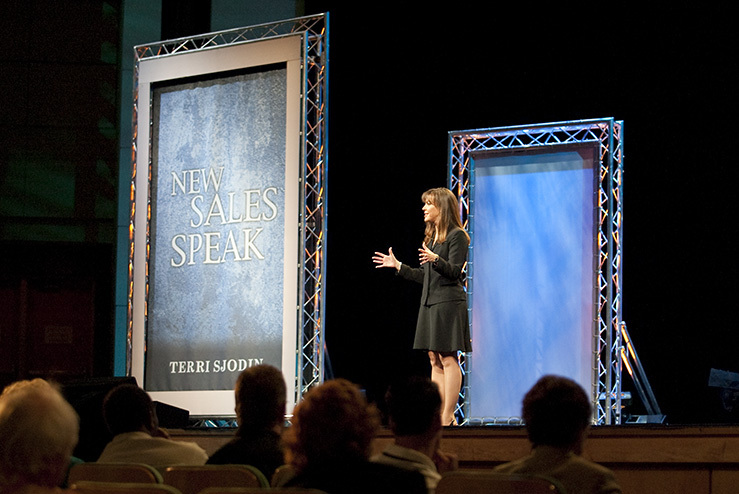 Interested in Terri's Speaking Engagements?